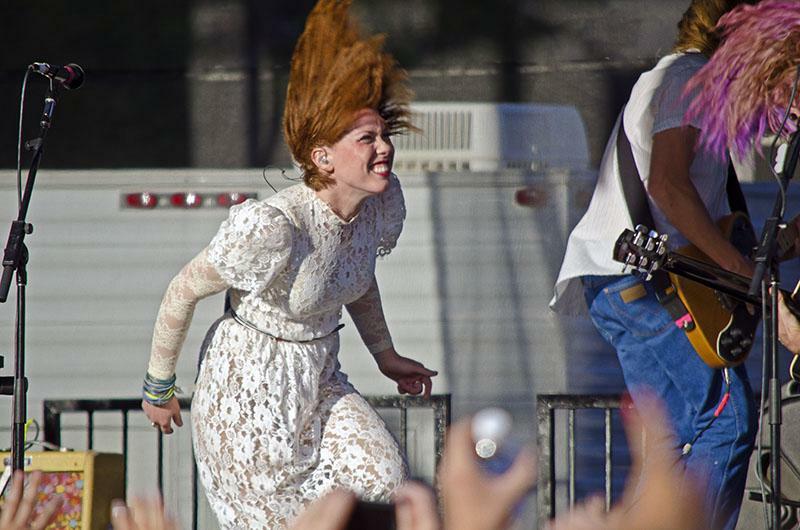 Grouplove performs at a 2011 concert. A&O announced Sunday night the alternative rock band would open for Childish Gambino at Friday’s Blowout concert. Indie band Grouplove will open for Childish Gambino at A&O’s Blowout concert Oct. 11, the organization announced tonight. Tickets for the concert go on sale 10 a.m. Monday through the Norris Box Office website. Grouplove released its second album, “Spreading Rumours,” on Sept. 17. The album features the band’s single “Ways To Go.” The group’s debut album, “Never Trust a Happy Song,” included “Tongue Tied,” which went platinum. The group has performed at international music festivals such as Coachella, Bonnaroo and Lollapalooza. Doors to Welsh-Ryan Arena will open at 6:15 p.m., and a special guest of Childish Gambino will perform at 7 p.m., followed by Grouplove. Childish Gambino will perform at 9 p.m.
A&O sent out a poll in the spring specifically for Blowout, and the organization has stressed that the poll played a large role in selecting this year’s performers. A&O spokeswoman Rosalind Mowitt said the group tries to book acts from different genres. A&O chairman Demetrios Cokinos said Grouplove complements Childish Gambino well.